What’s in a name? This question has been puzzling individuals for centuries, but takes on a whole new meaning when applied to Millennials, a generation known by many names. These include Gen Y, Echo Boomers, Global Generation and Generation Next. In 2013, the Future of Britain study identified yet another name for this group: Generation Rent. This new name refers to Millennials’ propensity for renting instead of buying. Whether it be cars or houses, a significant percentage of Millennials is not prepared to take the plunge and buy a property. Many articles have been written on how the Millennials’ spending habits differ from their older counterparts’. Several factors explain why Millennials are The Cheapest Generation.They are saving less, investing less and are burdened with student debt. Paying the monthly rent is simply more affordable in the short run than a down payment and the monthly mortgage. They have also seen many people harmed by the housing bubble burst in 2009, so fear being stuck with a house that could end up being worth less than what they paid for it. In addition to the financial constraints which refrains them from making major purchases, there are also sociological factors. Millennials are older when graduating college, older when getting married and older when having children. As all of these major life changes happen at an older age than it did for the previous generations, it makes sense that Millennials are not quite ready yet for the commitment that comes with buying a house. Renting provides flexibility, as Millennials make decisions that influence where they live – and perhaps buy a property – in the long term. There are also Millennials who cannot even afford to pay rent. They may be in between jobs or not make enough at their job to live in their desired city. These Millennials often resort to moving back into their parents’ homes as a temporary, or perhaps less temporary, measure. Although this sounds like it could put a strain on the household, this UK study suggests that older children living at home have a positive impact on family relationships. Parents rely on their older children for emotional support and consult with them before making big decisions. Both parents and children in these scenarios value family occasions and enjoy spending time together. This positive spin of what could be a stressful living situation has major implications for marketers. 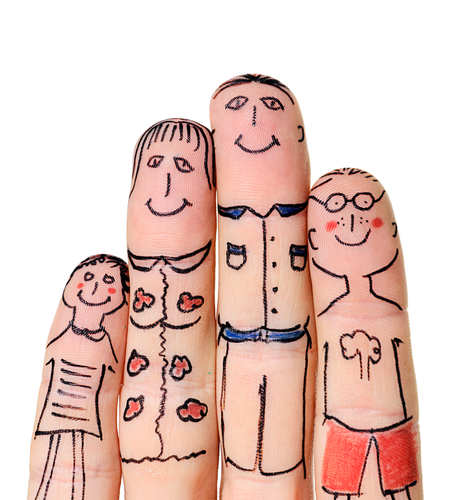 Today’s happy families are no longer the prototypical families of the past. Brands can and should jump at the opportunity to appeal to this new family type and give them opportunities to make the most of their time together. There are new brands that have been designed to appeal to a generation which is not willing or able to buy things permanently. Zipcar provides cars for short-term rent, Spotify allows users to rent music for as long as they maintain their Spotify subscription and Rent the Runway rents out designer gowns for a fraction of their original price. These brands are allowing customers to enjoy their products without the commitment that comes with purchasing. With parents and Millennials both satisfied with this new family structure, it seems like Generation Rent is here to stay. How will your brand stay relevant, given this rising trend? Probably worth noting that the Future of Britain study was conducted by OMD UK and there is a dedicated blog site covering all of the findings….